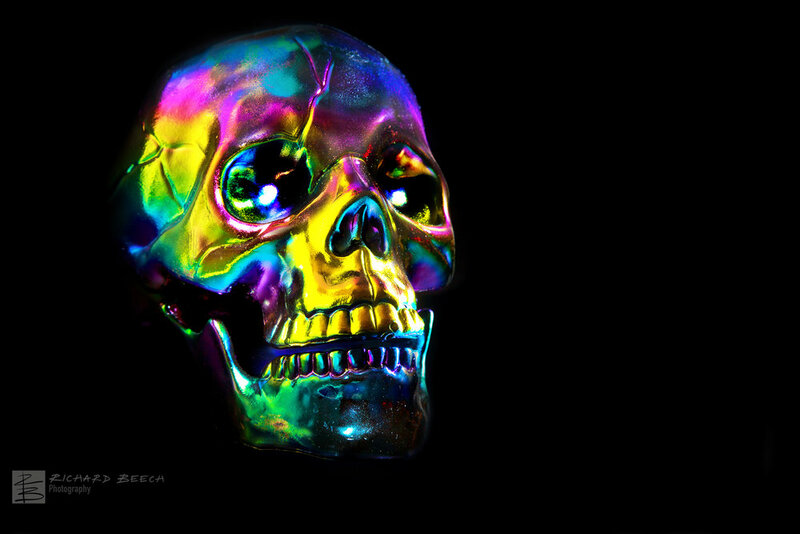 I took the following shot of the iridescent skull prop using only an ipad as a light source. With the camera on a tripod (manualy focused and set to AV priority) I released the shutter and moved the ipad (just showing a white screen) around the skull, lighting all areas as evenly as possible to get the shiny effect but without too much glare. I focused slightly longer in the eye sockets to get the white light in each eye that I wanted. Canon 5D Mark iii with a Canon EF 24-105mm f/4.0 L IS USM Lens @88mm.